Sega and Creative Assembly have announced a two-and-a-half month delay to Total War: Three Kingdoms. The strategy game was due out 7th March. It’ll now launch 23rd May. 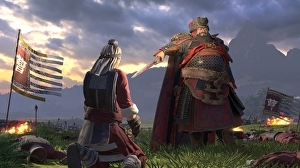 In a development update posted on the Total War website, Rob Bartholomew, studio brand director at Creative Assembly said: “With Three Kingdoms, we set out to create a new level of complexity. As such, we need a little more time to make sure these systems deliver as intended and give you the Total War experience you’ve waited so patiently for.